Alaskan Yachts is proud of its heritage, which dates back to the 1960s, starting with the construction of its wooden trawlers. Alaskan Yachts builds fiberglass semi-displacement motoryachts that resemble the traditional trawler. 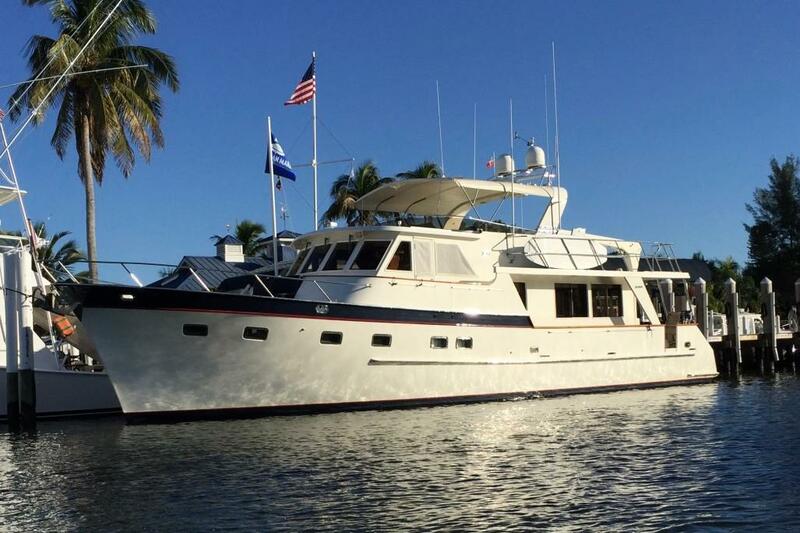 Alaskan motoryachts utilize the latest technology along with luxury amenities. Worth Noting: Today there are over 70 Alaskans cruising the world. Grand Alaskan 46 Grand Banks Alaskan 1968 - 1974 45' 3" 15' 1" 4' 11"
Grand Alaskan 49 Grand Banks Alaskan 1970 - 1974 48' 7" 15' 1" 5' 2"
Grand Alaskan 53 Grand Banks Alaskan Trawler 1973 - 1978 53' 0" 15' 15" 6' 0"
Grand Alaskan 55 2000 - Current 54' 9" 17' 1" 5' 6"
Grand Alaskan 55 Grand Banks Alaskan 1970 - 1973 55' 0" 17' 1" 6' 5"
Grand Alaskan 56 2005 - Current 56' 0" 17' 2" 5' 0"
Grand Alaskan 53 Grand Alaskan Pilot House 2001 - Current 56' 0" 15' 6" 3' 6"
Grand Alaskan 64 1998 - Current 64' 0" 17' 4" 4' 9"
Grand Alaskan 66 2000 - Current 66' 0" 19' 6" 4' 10"
Grand Alaskan 70 2006 - Current 70' 0" 19' 6" 4' 10"
Grand Alaskan 80 2000 - Current 80' 0" 19' 6" 4' 11"
Alaskan Yachts, a leader in explorer, expedition and trawler yacht construction, dates back to the early 1960’s when the first 49' wooden trawlers designed by Robert S. Doris were built. Built in Hong Kong, the wooden trawlers became popular throughout the 1960’s and 1970’s, with the iteration of the Alaskan Trawlers appearing in the early 1970's. 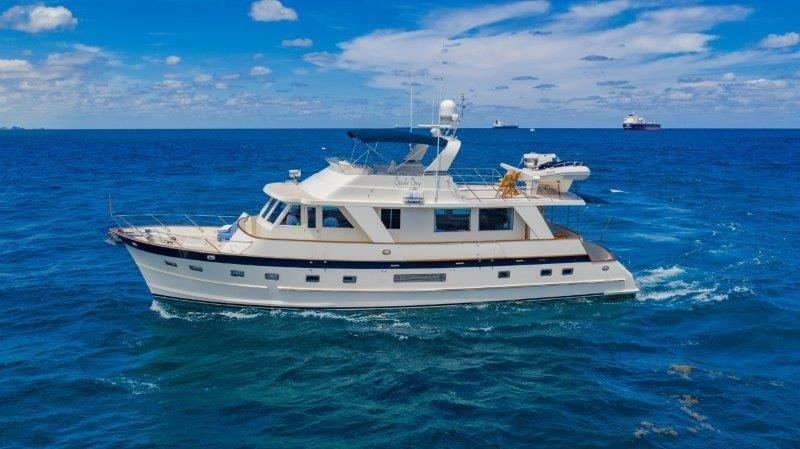 In 1996, Arthur DeFever designed a new fiberglass 53 Alaskan RPHY. 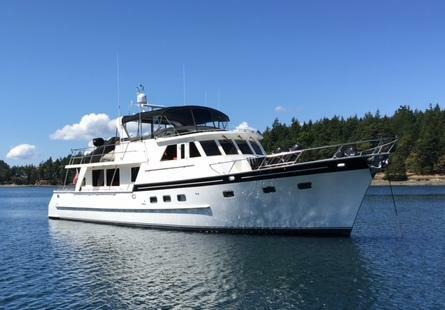 This innovation paved the way for the next generation of Alaskan Yachts, including the “Grand Alaskan” that was launched in 1997. 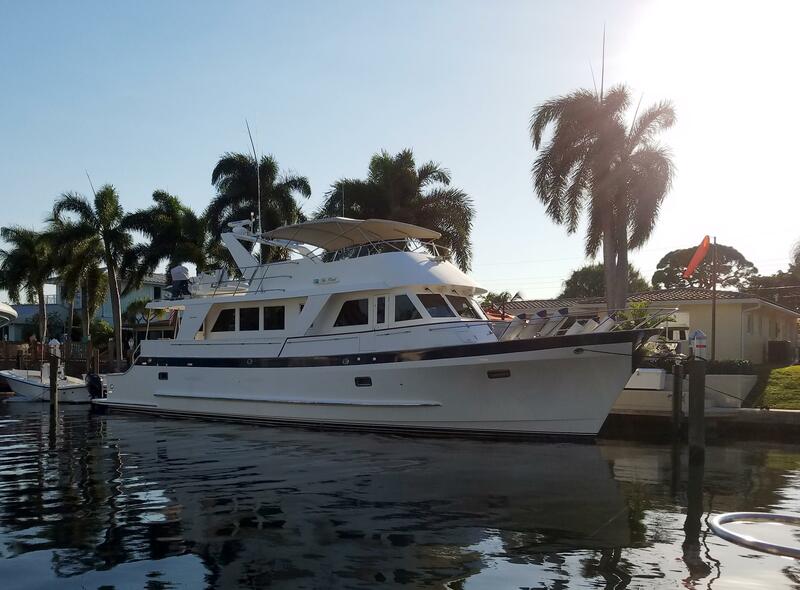 The Alaskan 43 was unveiled at the 1998 Fort Lauderdale Boat Show. 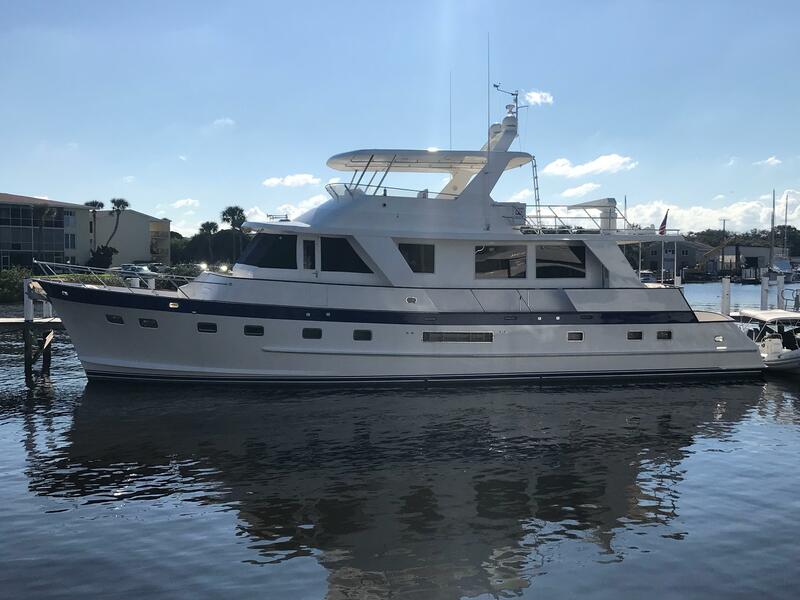 A huge success, it became an instant sensation in the yachting community and has led to the production of more stylish and seaworthy yachts in the Alaskan Yacht model line. 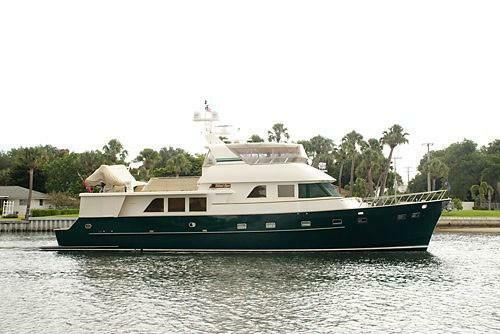 Alaskan Yachts’ fleet ranges from 55 to 100 feet, with its newest build, the 100-foot Alaskan Trideck.